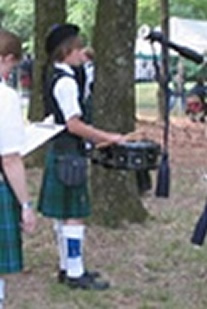 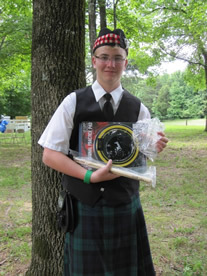 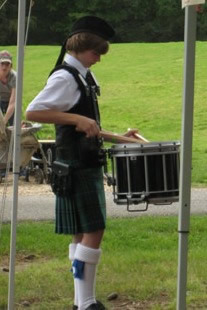 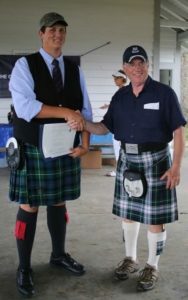 The William Wallace Grade IV Junior Drummer of the Day Award is presented annually to the most promising player of a traditional Scottish side-drum (snare) at the Glasgow Kentucky Highland Games in Glasgow, KY.
Pictured with from left, Janice Beatty – Vice President, Robbin Goodin – Regional Celtic. 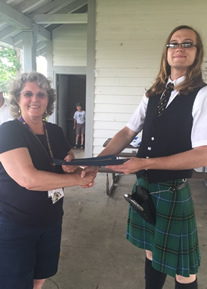 Pictured with Jenny Dickson – President. 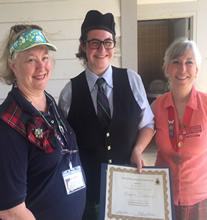 Pictured with Janice Beatty – Vice President. 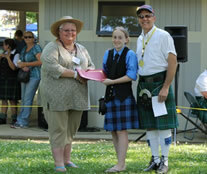 Pictured with Marla Jo Cameron – President, Rick McKenzie – competition organizer.